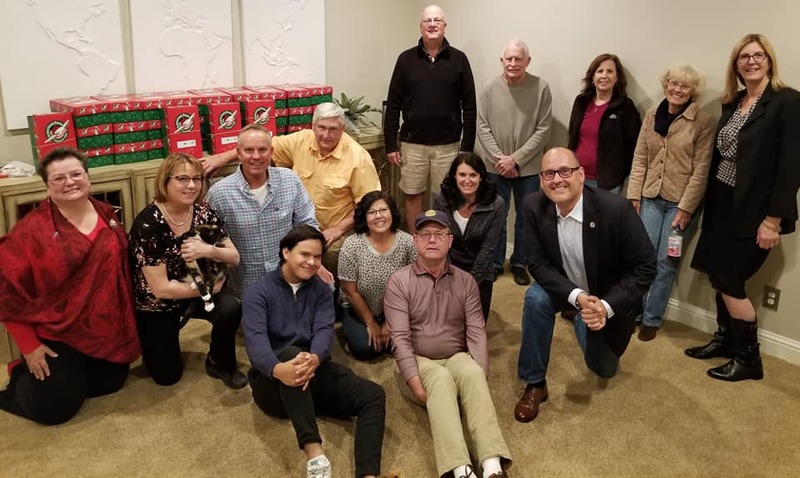 Our club collects "Happy Bucks" at weekly meeting that contribute to specified causes. 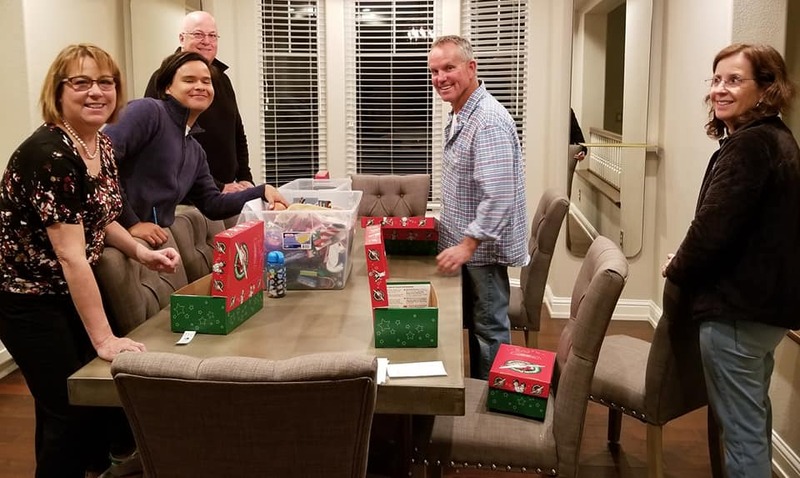 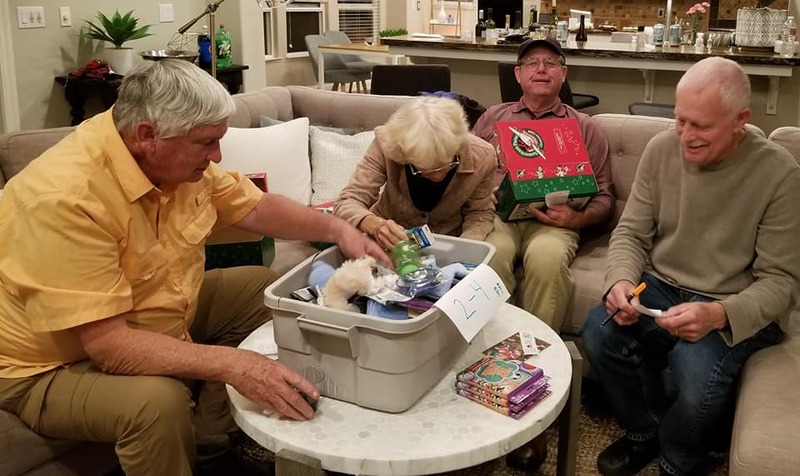 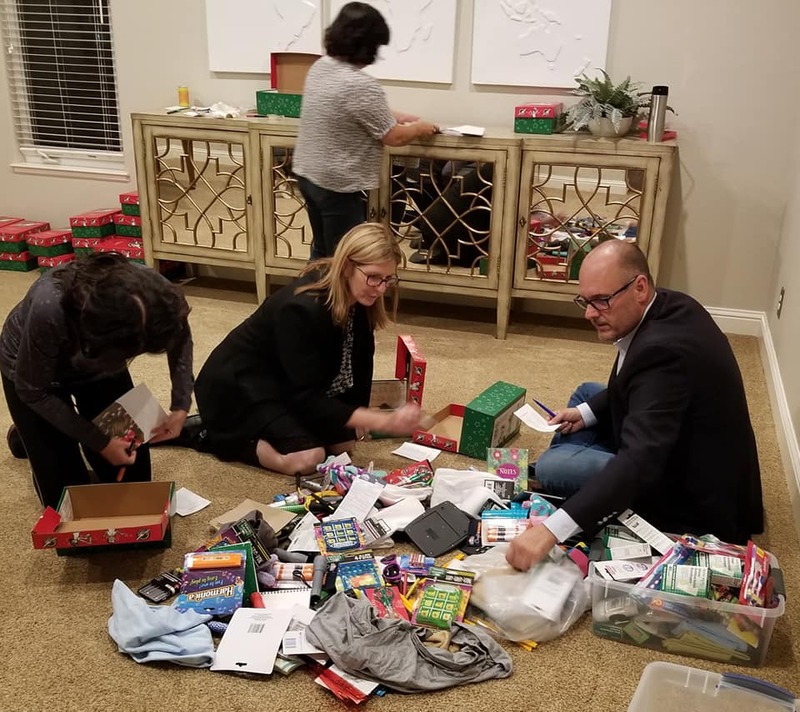 Over the past few months the monies collected bought gifts for dozens of children in a needing community somewhere in the world through 'Operation Christmas Child', a project of Samaritan's Purse. 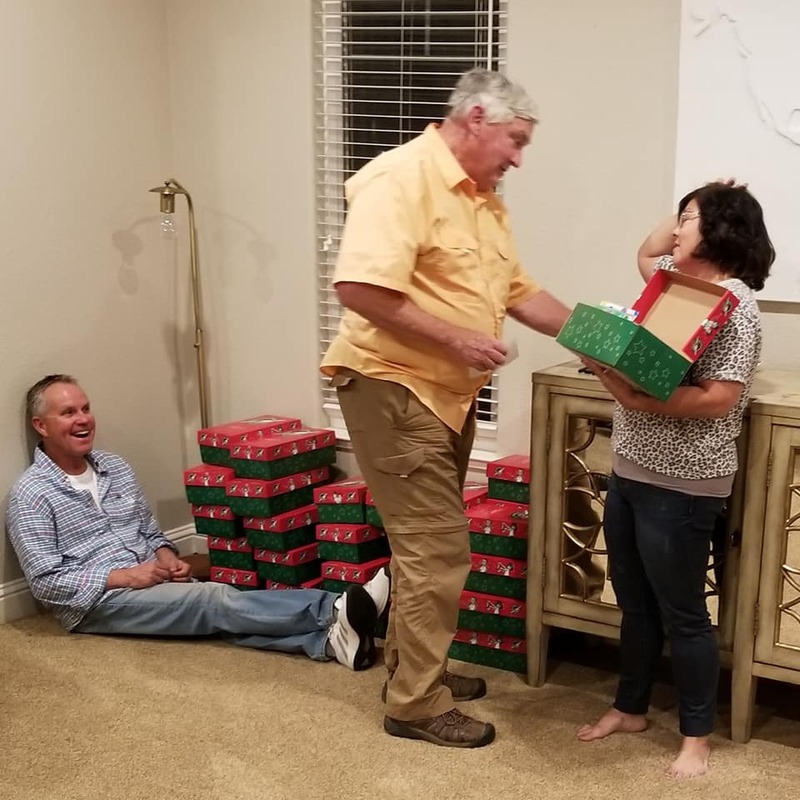 Club members invited District Governor Jack Arney and his wife Maureen to help fill gift boxes.